In 1969 Kim Janik was a young man shining with promise—handsome, brilliant, studying at Harvard on a physics scholarship—and he was in love with Laurie Alberts, a troubled teenager from a wealthy Boston suburb. Twenty-five years later, when Kim’s naked and decomposing body was discovered on the Wyoming prairie, one photograph—that of the Harvard junior and the seventeen-year-old—was found in his abandoned car. This book is Alberts’s attempt to piece together what happened in between. An accomplished novelist, Alberts brings to her task the searching intelligence, clear-eyed candor, and narrative grace that have marked her previous books. She painstakingly recreates her turbulent relationship with Kim and traces the twisted course that led to his eventual ruin. 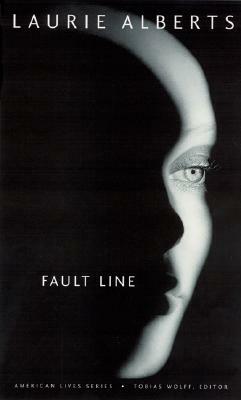 A story of obsessive love, societal upheaval, and the warring impulses of survival and self-destruction, Fault Line moves beyond the limits of the traditional memoir into the realms of biography and literary journalism. With interviews and letters, Alberts augments her lucid reflections in an effort to comprehend Kim’s life and death and her place in both. The result is a singular work that melds the inner and outer worlds with a seamless intensity. Laurie Alberts, author of the novels "The Price of Land in Shelby," "Lost Daughters," and "Tempting Fate," teaches fiction and creative nonfiction at Vermont College's MFA in Writing Program. “In a book unrivaled in its precision of memory, Laurie Alberts describes a personal era marked by a definitive historical time. Her friend Kim’s peculiar expatriation and mysterious death inspire Alberts’s quest—even as they mark that quest as nearly unnavigable, a fault line running between past and present, its sorrows the margins, its solace the faintest, quaking epicenter.”—Abby Frucht, author of Licorice and Are You Mine?